The National Museum of the American Indian operates three facilities. The museum on the National Mall in Washington, D.C., offers exhibition galleries and spaces for performances, lectures and symposia, research, and education. The George Gustav Heye Center (GGHC) in New York City houses exhibitions, research, educational activities, and performing arts programs. The Cultural Resources Center (CRC) in Suitland, Maryland, houses the museum's collections as well as the conservation, repatriation, and digital imaging programs, and research facilities. 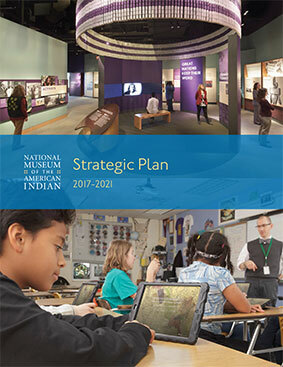 The NMAI's off-site outreach efforts, often referred to as the "fourth museum," include websites, traveling exhibitions, and community programs. Since the passage of its enabling legislation in 1989 (amended in 1996), the NMAI has been steadfastly committed to bringing Native voices to what the museum writes and presents, whether on-site at one of the three NMAI venues, through the museum's publications, or via the Internet. The NMAI is also dedicated to acting as a resource for the hemisphere's Native communities and to serving the greater public as an honest and thoughtful conduit to Native cultures—present and past—in all their richness, depth, and diversity.